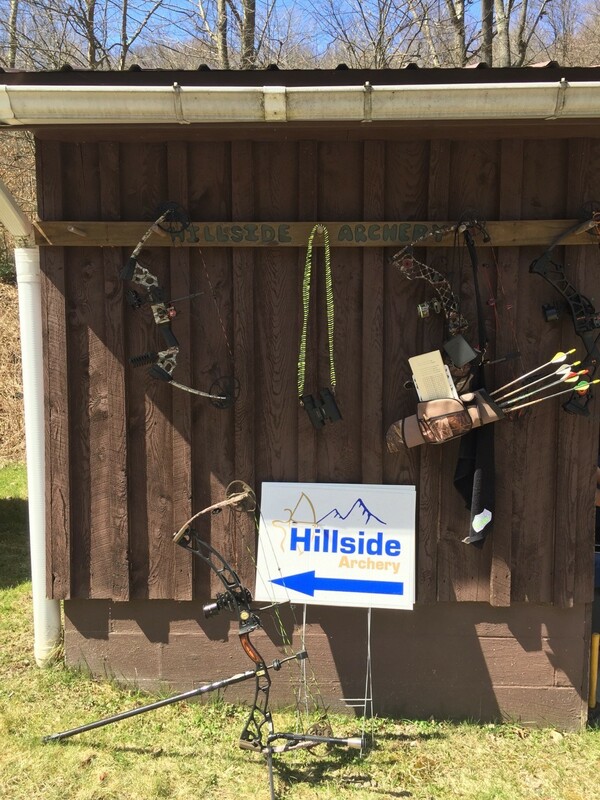 The Hillside Archery facilities consist of a 20 yard indoor range in the basement of the club and an outdoor range where you can shoot up to 80 yards. 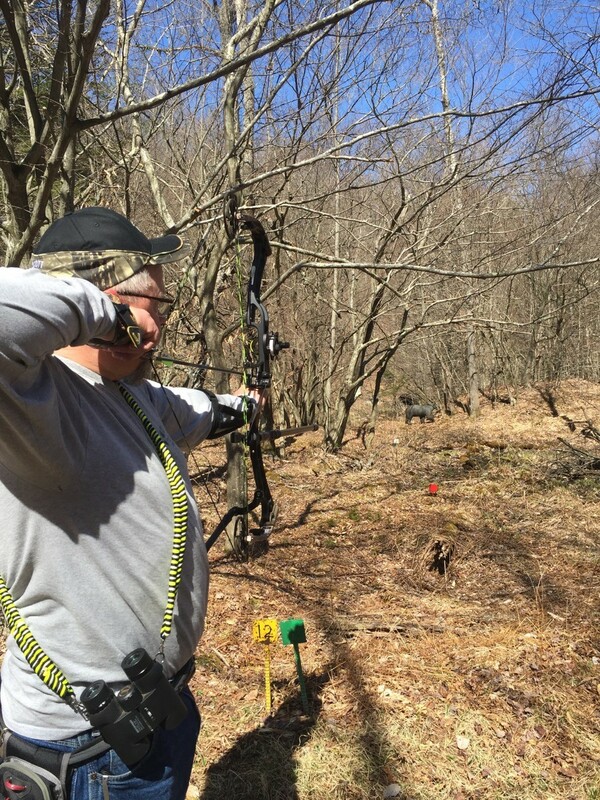 There is also a 3D course set up for monthly shoots during the summer. 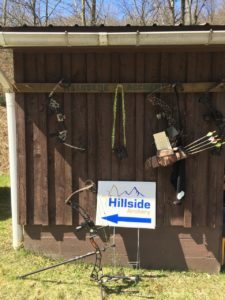 Hillside Archery welcomes shooters of all ages with its family atmosphere. 2017 3D score sheet4 UPDATED SCORES HERE! 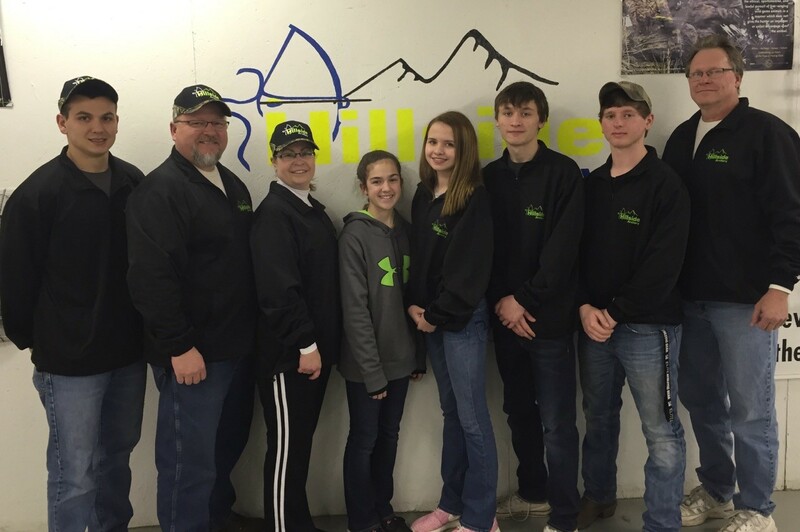 Members of the Hillside Archery Team competed at the 2016 Pennsylvania State Archery Association (PSAA) indoor state archery championships held at the Farm Show complex in Harrisburg. 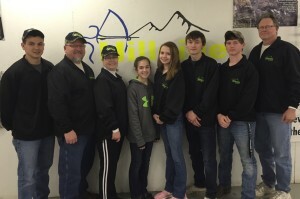 L to R: Dalton Litzelman, 4th place Mens Bowhunter Unlimited Class B, Scott Heatley, 1st place Mens Unlimited Class A, Wendy Rabert-Heatley, 2nd place Womens Unlimited Class B, Gracie Snyder 9th place, Junior Female Bowhunter Unlimited Class A, Ryann Upham 8th place, Junior Female Bowhunter Unlimited Class B, Sean Upham, 4th place Intermediate Male Bowhunter Unlimited Class A, Tyler Boyer, 6th place Intermediate Male Bowhunter Unlimited Class A, Brett Upham, 2nd place Mens Unlimited Bowhunter Class B. Not pictured Steve Pettit, 2nd place Mens Traditional Recurve, Clyde Mitstifer, 3rd place Mens Traditional Recurve, Blake Maxson, 5th place Mens Unlimited Class B.
September 17th, 2017 3D Shoot at the Fish Hatchery -LAST ONE OF THE YEAR. Membership in the Hillside Rod & Gun Club is a very reasonable $25 to join and $25 a year thereafter. 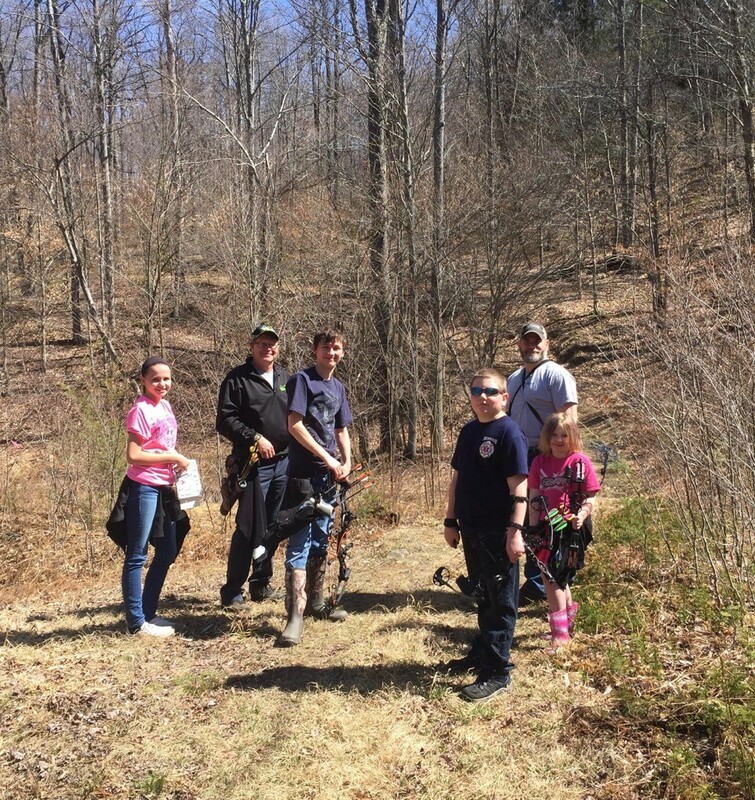 For the price of a box of shells, you get access to our pistol and rifle range, Trap range, indoor Archery range, and events.